Those unfamiliar with the rocky road of public radio in America might not appreciate the special significance of Tom Schnabel’s popularity. 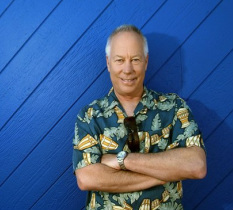 For over ten years Schnabel has worked as the music director of KCRW, a small station run out of offices at Santa Monica City College in California. KCRW reaches several million listeners in the west Los Angeles area, one of only a few listener-supported stations in the region, thus free of advertising and most of the attendant pressures from the record and film industries. Schnabel’s show from nine till noon, Morning Becomes Eclectic, has long been regarded as far and away the most exciting music program around, on any station. Schnabel’s format throws an emphasis on jazz, his earliest musical enthusiasm, but includes a full range of other musics. On his show he also talks with musicians and some, like Ry Cooder, do small concerts in the radio studio as well. There are listeners who say that besides the music one other thing inevitably is missing from Stolen Moments: Schnabel’s smooth familiar voice, opening doors through the course of the morning, offering unexpected pleasures of music. Those radio interviews are the raw material for the 35 conversations in this book and they demonstrate both Schnabel’s wide appreciative interest and the inquisitive intelligence by which he engages with musicians as diverse as King Sunny Adé, Laurie Anderson, Joe Jackson, Branford Marsalis, John McLaughlin, Astor Piazzolla, Steve Reich, Ravi Shankar, Nina Simone, Nicolas Slonimsky, Tom Waits, and Joe Zawinul. Schnabel himself says of his book: “It is about my fascination for the substance and spirit of music, this ethereal and invisible art form that can grab you so powerfully, and make you laugh, dance or cry.” That fascination informs every page of Stolen Moments, and as in the best interviews something gets said that has never quite been said before. The surprises crop up regularly and each turn of mind sends us thinking to the music again, to the life there, which finally is what we want of such words.